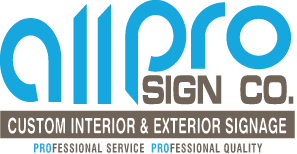 Directional Signage for offices are our specialty. 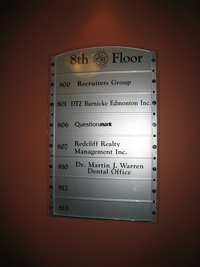 Wall signs, corporate signage, and other business signs are a common sight in lobbies and buildings. 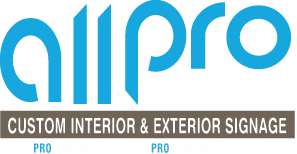 These wall sign displays your unique business as well as creativity that is sure to attract a successful business.Post announcements, room numbers, office designations, and much more is just the beginning of what we can offer.